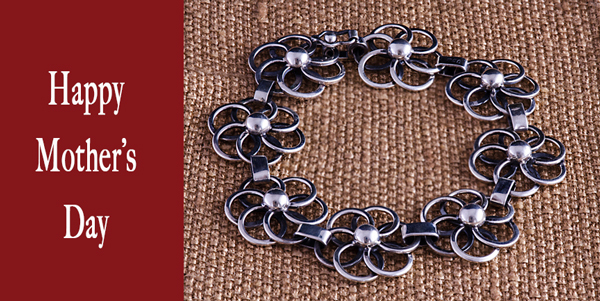 Celebrate Mother’s Day with this flower bracelet in silver. Crafted in Peru. Has safe trigger clase style.